La Ribera District is where to stay in Barcelona – it was my home during my solo 9-day visit to Barcelona. 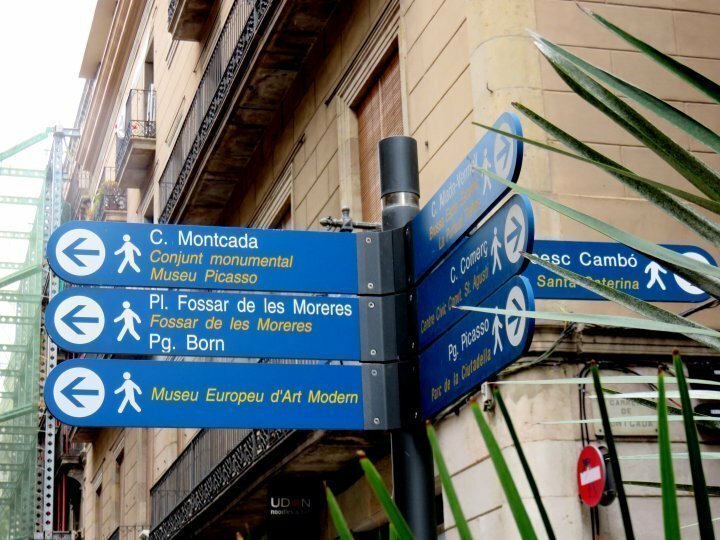 La Ribera is a great walking neighborhood in Barcelona. I felt safe on my own exploring the area both during the day and at night so I definitely recommend La Ribera district of Barcelona to solo travelers. 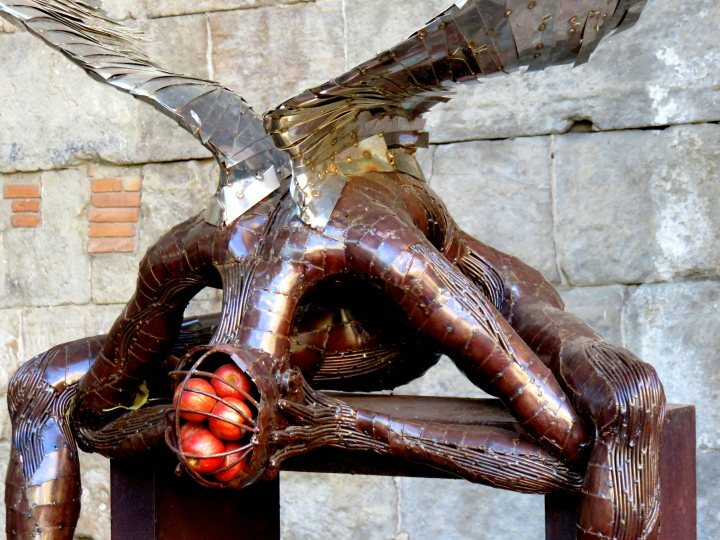 There is so much to see within the La Ribera neighborhood and the adjacent Gothic Quarter and El Born. 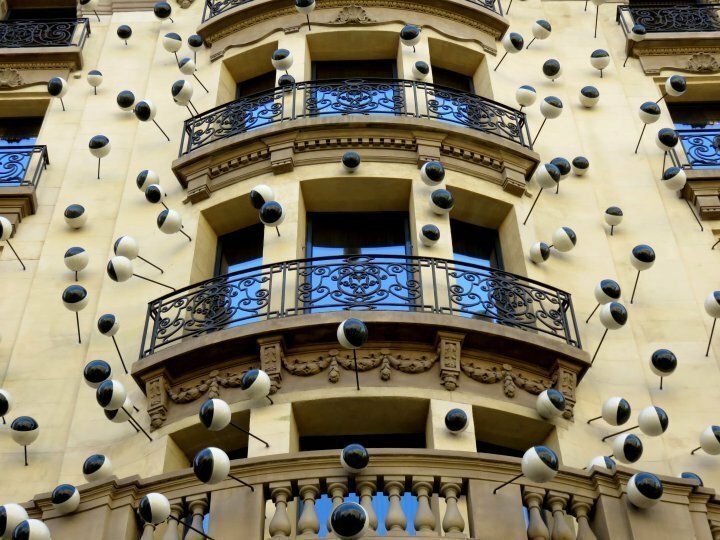 While staying in Barcelona I loved walking by the Ohla Hotel every day – it always made me smile! I really missed the architecture of La Ribera district when I returned to Austin. Check here for the latest deals and hotel prices in Barcelona! I booked a room via AirBnB (click for your FREE travel $$ credit) in an apartment on Via Laietana street and I loved waking up early to walk around the neighborhood before most people were awake. I watched the sunrise one morning from the Arc de Triomf. If you prefer staying in a hotel – check out these deals now! 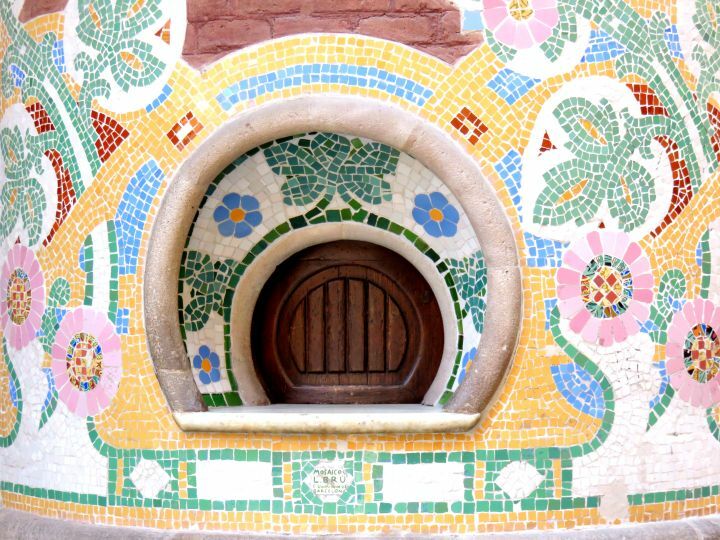 Grab your Barcelona travel guide here! 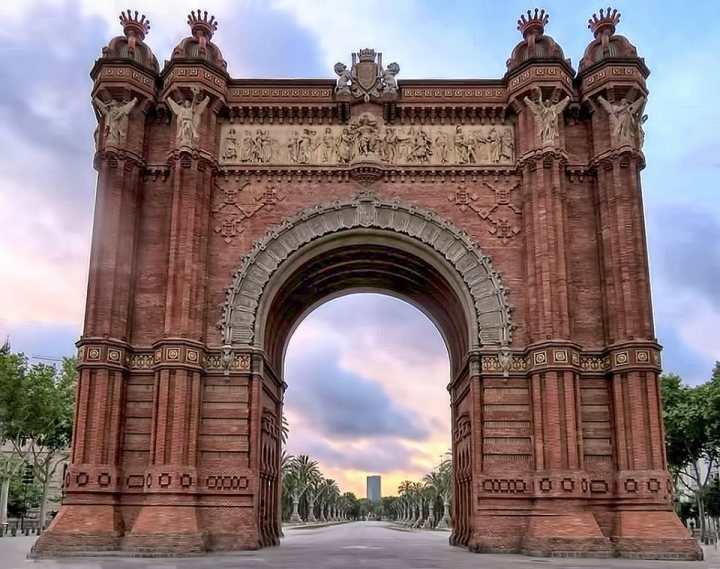 The Arc de Triomf was constructed as the entrance to the 1888 World’s Fair in Barcelona – by Catalan architect Josep Vilaseca i Casanovas. 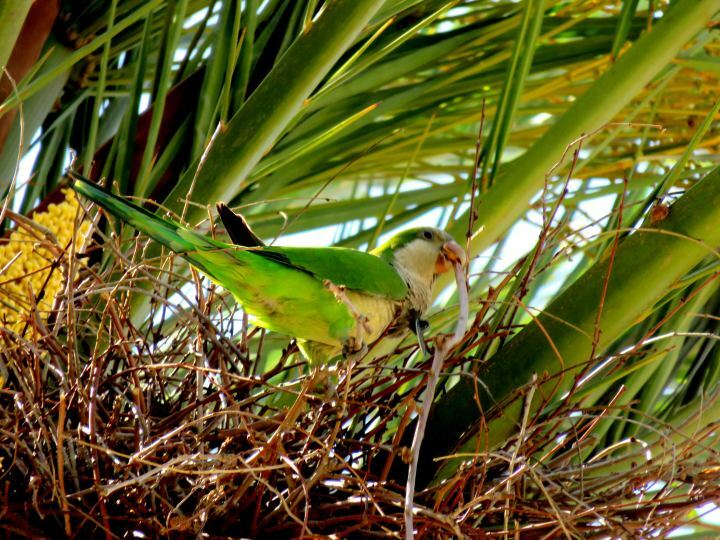 There are green parakeets nesting in the trees along the promenade leading to Parc Ciutadella. They are similar to the parakeets we see in Austin. 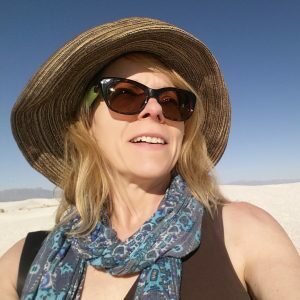 My mornings I indulged in croissants with a cappuccino or cortado, my new favorite way to drink coffee – espresso with a bit of steamed milk – fabuloso! I went through coffee withdrawal when I returned to Austin Texas. 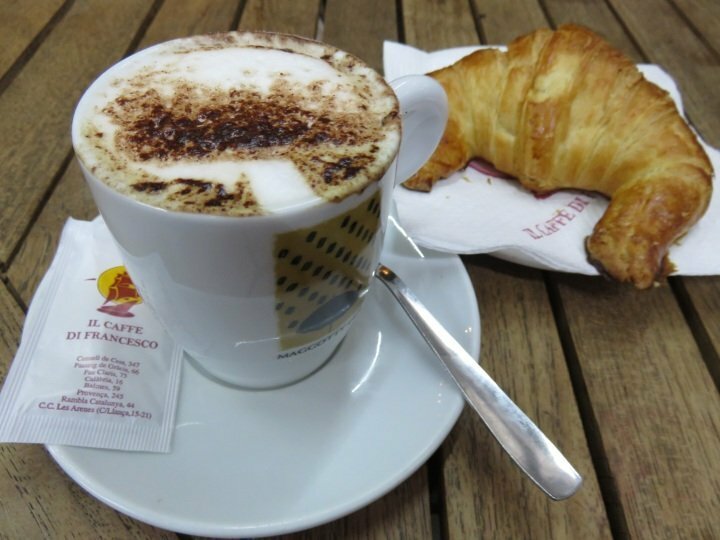 I tried to find great coffee and croissants to match my experience in Barcelona but what was I thinking?! There is no way to replace the genuine experience. I arrived in Barcelona at 7:15 am, clearing customs and immigration and on a bus by 8:00 am. (More info on getting around in Barcelona here) I was impressed! By 8:35 I was getting off the bus at Placa Catalonia and a few minutes later sitting at a café enjoying a cappuccino and a croissant. My check-in time at the apartment was 10 am so I wandered around in order to get familiar with the La Ribera neighborhood. After checking in and meeting the family members at my AirBnB rental I took a shower and left to explore my new neighborhood. I only walked a half block down busy Via Laietana before turning along the first side street Carrer de la Sant Pere. 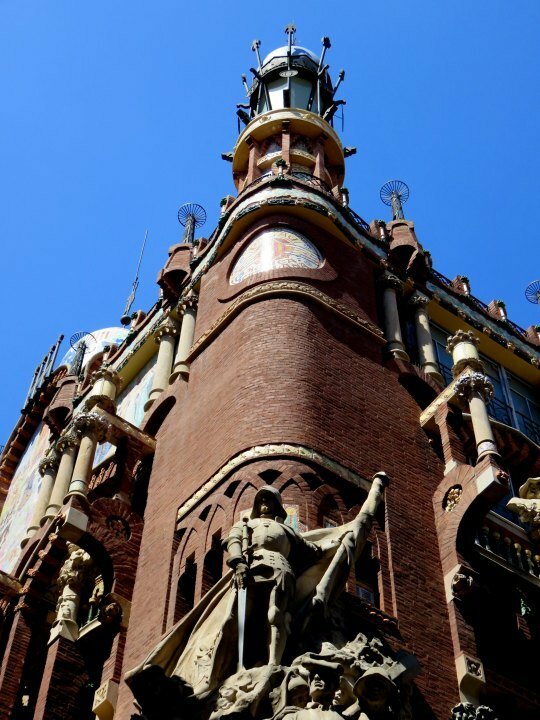 I saw an interesting building – it was Palau de la Musica Catalana – I knew it was close by but I didn’t realize it was just around the corner from my abode. Even though I wanted to take the one-hour tour of Palau de la Musica Catalana I needed some food first. I walked further along Carrer de Sant Pere and found a little shop with homemade food. 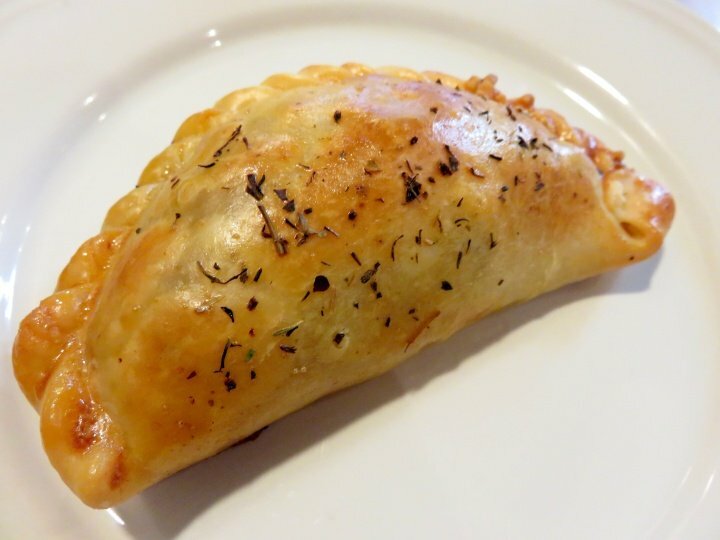 I ordered a chicken empanada and a water – it tasted so tasty I requested another round and the total was only 4.8 euros. Now I was ready for the tour of Palau de la Musica! The concert hall was impressive, the stained glass dome was particularly impressive. I wanted to stay longer than the allotted time so I lingered behind the group to take a few more photos at the end of the tour. The next tour started and I had to leave but I did stop to check the schedule of events. 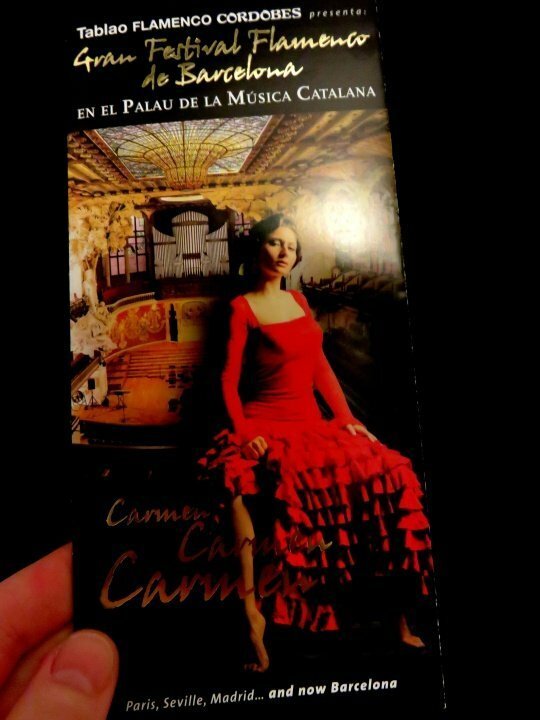 I purchased a ticket for the Flamenco concert the following night and it was fantastic! 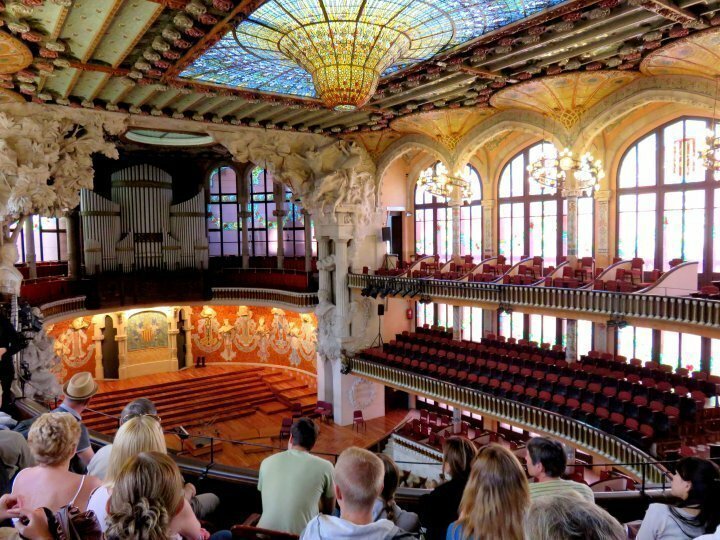 For ticket and event info check Palau de la Musica Catalana website in advance. I visited the Picasso Museum one morning and I was actually more impressed with the temporary exhibit Post-Picasso, Contemporary Reactions. Viewing dozens of Picasso paintings in one session left me wanting something else, something different. For information on tickets, tours, and exhibits visit Museu Picasso website. There is no photography allowed at the Picasso Museum so I have only the courtyard to show you for now. 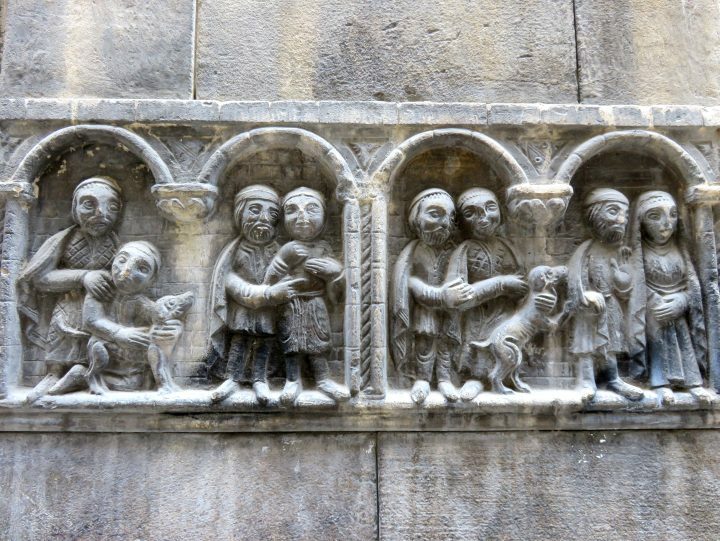 While in the vicinity of the Picasso Museum I highly recommend a visit to Basilica Santa Maria del Mar. 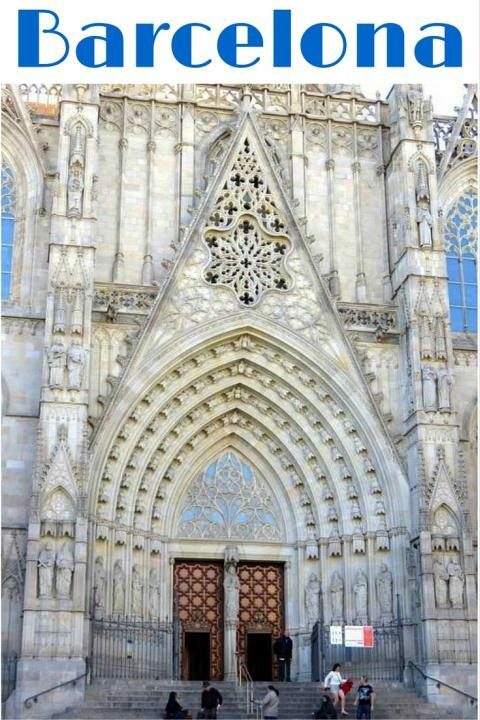 If you only have a couple of days in Barcelona I actually suggest you spend your time at the magnificent (and free) Basilica Santa Maria del Mar over Gaudi’s Sagrada Familia – read more about Basilica Santa Maria del Mar vs Sagrada Familia. I visited the Basilica Santa Maria del Mar twice during my stay in Barcelona. 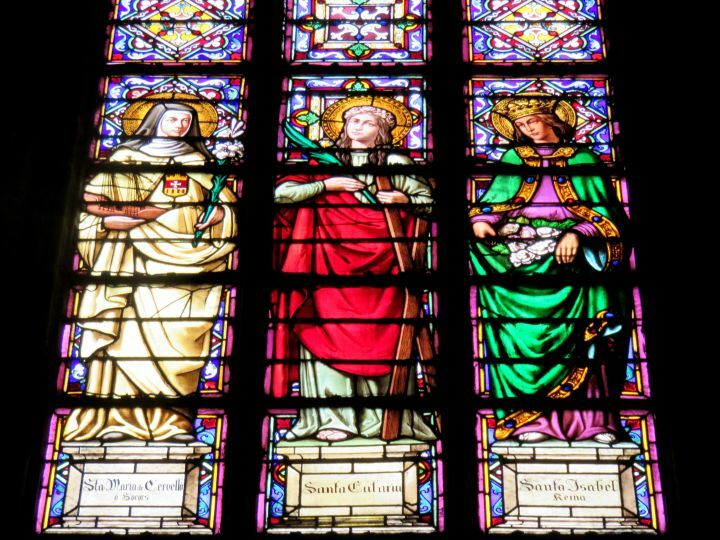 The architecture and stained glass work are a feast for the eyes and make for wonderful photography. The natural light changes throughout the day and the mood changes with it. When you get hungry there are plenty of tapas to enjoy in Barcelona. 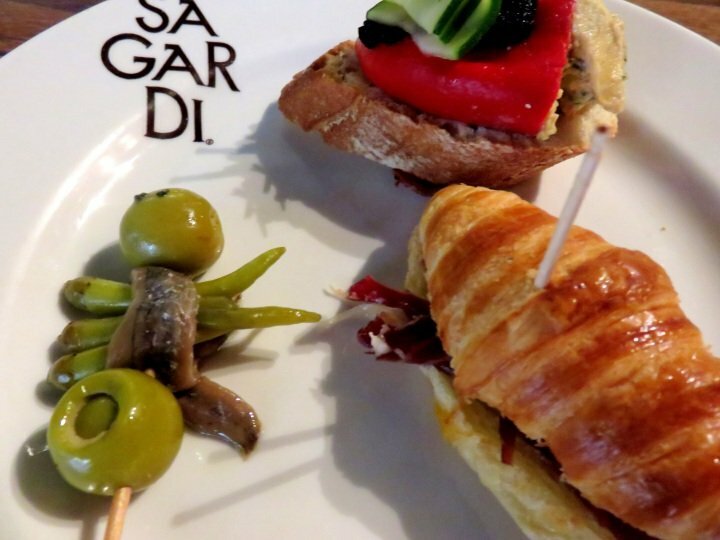 One of my favorite places for lunch time tapas was Sagardi Euskal Taberna in the southern part of La Ribera district known as El Born. They serve pintxos style tapas displayed on plates set atop the bar. Select a plate and eat until you are full – save the toothpicks which will be added up to tally your tab. Affordable and delicious! Beyond all the extraordinary sites to visit in Barcelona I found great enjoyment out of simply walking around La Ribera district. 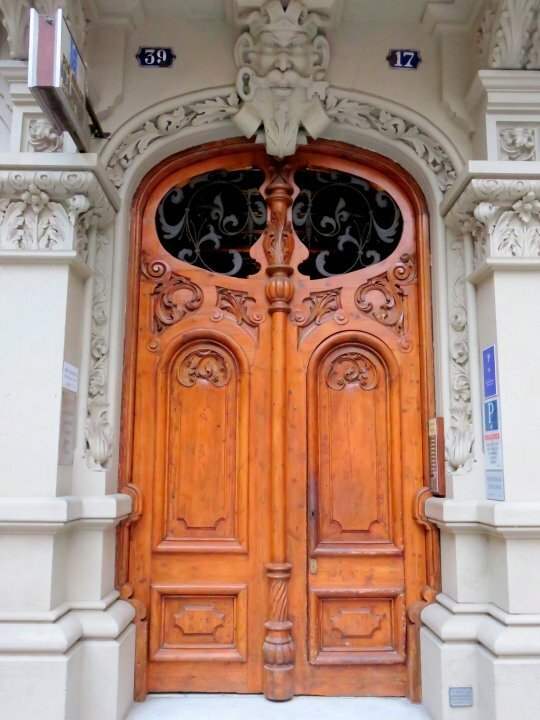 Taking in all the beautiful doors and details that I otherwise would not be able to stop and enjoy if I were driving around Barcelona. 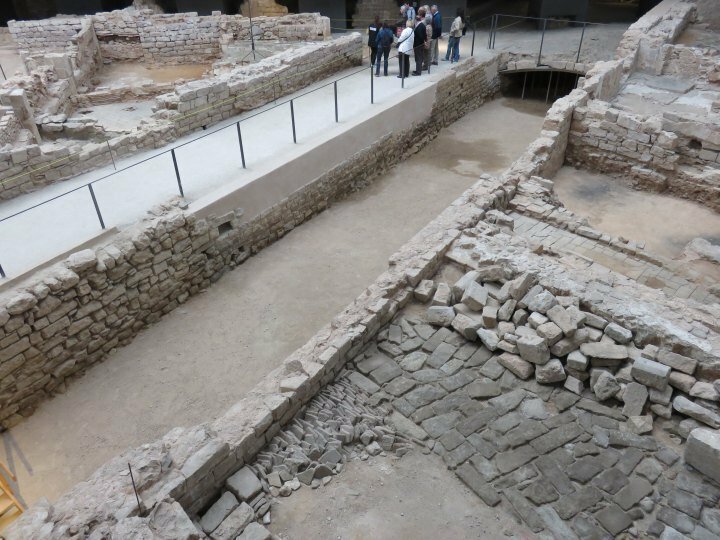 To delve deep into the history of La Ribera district in Barcelona visit El Born Centre Cultural in the southern portion of La Ribera district. Guided tours are available but they also have excellent information posted in Catalan, Spanish, and English. One of my favorite things to do in any city is visit the grocery stores and markets to see what different types of foods are available. There was a full kitchen at the apartment I stayed at in Barcelona so I often bought yogurt, cheese, tomatoes, etc. 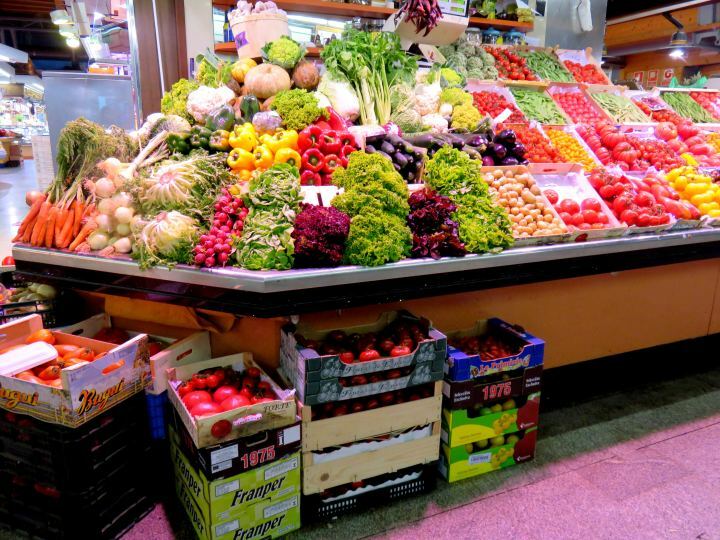 The best food store in La Ribera is Caterina Market on Av. Francesc Cambó. 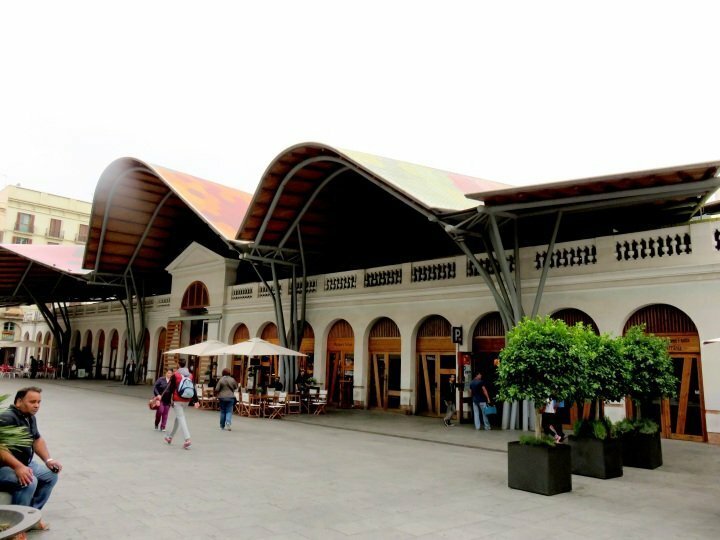 The market is much smaller, less hectic, and touristic than the famous Mercat de Sant Josep de la Boqueria on Las Ramblas. Much of the signage in Barcelona is posted in Catalan, Spanish, and English. Throughout the historical areas the tourist signs are easy to spot. I am directionally challenged and even I never got lost in Barcelona! I didn’t even bring a map with me on many of my outings. While I looked at my two guide booksoften I never brought them with me while walking around Barcelona. For more information about getting around in Barcelona read my post about the various transportation options in Barcelona. 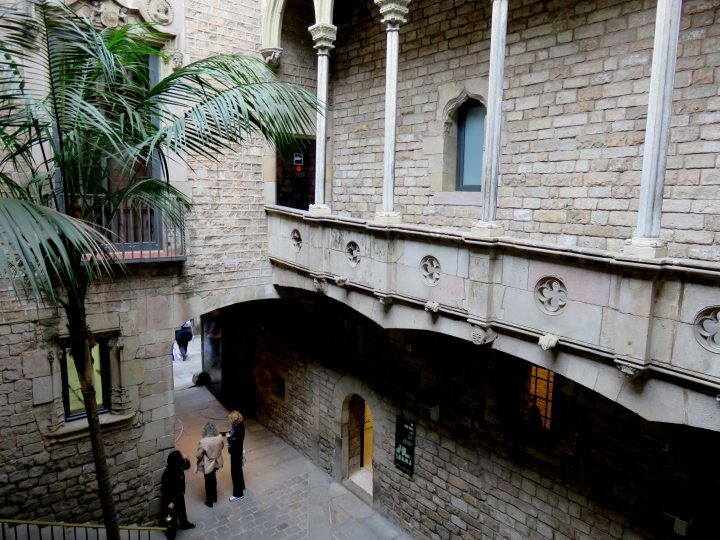 If you are visiting Barcelona I recommend staying in La Ribera district for a great mix of historical sites, entertainment, art, architecture, parks, restaurants, bars, and friendly people. La Ribera is a great walking neighborhood and great place to stay if you are traveling solo in Barcelona. What is your favorite neighborhood of Barcelona? If you are planning a trip to Barcelona which neighborhood are you most likely to stay? Love the architecture! Their culture is very rich and its good to know know that they are preserving them in a really nice shape. Thank you for sharing! Hi Vanessa, I really miss the neighborhood, it felt like home even though I was only there 9 days. The architecture is amazing! It didn’t matter which direction I walked I would find wonderful historic buildings. I am totally smitten with Barcelona!